Cerebral palsy is a neurological birth injury that affects thousands of children and adults worldwide. 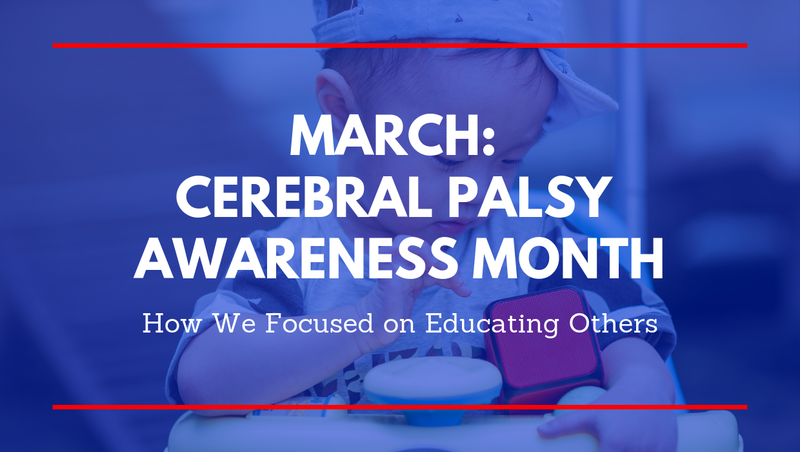 March is known as Cerebral Palsy Awareness Month, which allows us the opportunity to educate others about cerebral palsy while celebrating those currently living with it. During March, you may have seen people wearing green as a reflection of youthfulness and new growth, as well as hope for advancements in treatment and acceptance of those who live with cerebral palsy. With so much happening in the world around us, cerebral palsy can easily be pushed into the back of our minds if it is not a part of our daily lives. But for those living with cerebral palsy (or who have a loved one with cerebral palsy), they face the reality of their condition every day with dignity and strength that leaves much to be admired. Cerebral palsy (CP) is a group of permanent movement disorders that appear in early childhood, affecting body movement and muscle coordination. Parents may notice developmental delays early, but an official diagnosis may be delayed until age two or later. Caused by abnormal development or damage to parts of the brain, cerebral palsy is too often the unfortunate result of medical malpractice or negligent care by doctors shortly before, during or after birth. How is Cerebral Palsy Diagnosed and Treated? Early warning signs of cerebral palsy can vary from individual to individual, but they generally can be identified by parents as early as a few weeks after birth. The best way to ensure the proper treatment of cerebral palsy is to seek the aid of a trusted medical team, who can help design a treatment plan specific to you or a loved one living with cerebral palsy. This not only helps with any pain or discomfort caused by the condition but also can help vastly improve quality of life. Despite advancements in treatment options, there is no cure for cerebral palsy. But that does not mean that an individual living with cerebral palsy cannot enjoy their lives to the fullest. This March, we celebrate those living with cerebral palsy in the hope that they are accepted for their authentic selves and are no longer unfairly judged. What Can You Do in Honor of Cerebral Palsy Awareness Month? Whether you have cerebral palsy, know someone who has it, or don’t know anyone who lives with it, there is always something you can do to raise awareness. You can take the time to educate yourself and others about how cerebral palsy affects everyone differently, and how the pervasive rumours and misunderstandings about the condition can lead to unfair judgment and perpetuating a false narrative about those who live with cerebral palsy. People living with cerebral palsy should not be feared or shunned. Despite involuntary movement and potential speech impediments, there is still a person to talk to and make a connection with. Use any opportunity you have to say “hello” and respectfully treat an individual with cerebral palsy no differently than you would treat anybody else you meet. At McKiggan Hebert – APM Lawyers, we pride ourselves in the one-on-one attention that each family dealing with a birth injury, like cerebral palsy receives at our practice. Learning to adjust to life with a birth injury is hard, so we make the legalities as simple as possible for our clients. If you or someone you love is dealing with a birth injury, contact us today. « How Does Cerebral Palsy Affect Social Development?